Phillies no longer favorites to sign Bryce Harper or Manny Machado, or are they? Could both Manny Machado and Bryce Harper be in red pinstripes next season? UPDATE [4:00 p.m.] — Phillies fans must have flocked to their respective gambling websites en masse, as the odds for Bryce Harper to sign with Philadelphia apparently moved in Philly's favor in the hour or so since this story was posted. Odds are on the move already. Of course, not everyone agrees. Below is what we wrote earlier, citing a betting site that thinks the Giants have the inside track for Harper — as well as a look at who is favored to ink Manny Machado. Oh, the difference a week makes. In just a short period of days, the Phillies went from being almost the only game in town to sign either Bryce Harper or Manny Machado, to being projected with the third and fourth best odds to sign each respectively. What they're saying: Was the J.T. Realmuto trade worth it or did the Phillies get fleeced? The Phils were one of the few teams that showed it could combine competitiveness, length of contract and maximum dollars in wooing one of free agency's biggest prizes in years. However, with the Padres and then the Giants throwing their hats in the mix, there is more competition for both All-Star sluggers. And the longer it drags out, more teams may talk themselves into getting involved. Not long ago, Philadelphia was the betting favorite as a landing spot for both sluggers. According to Phillies beat writer Todd Zolecki, fans placed orders for season tickets based on the premise that Harper's signing was imminent and that few other viable options for his services were on the table. It seemed like Harper to Philly was nearly a sure thing, but last week's false alarm seems to have churned up more interest among other teams as the Phillies just sit and wait. Of course the above is just one of many sports books around the world, but the movement away from the Phillies makes sense. The Giants reportedly had a fantastic meeting with Harper, who is being actively recruited by San Francisco catcher Buster Posey. 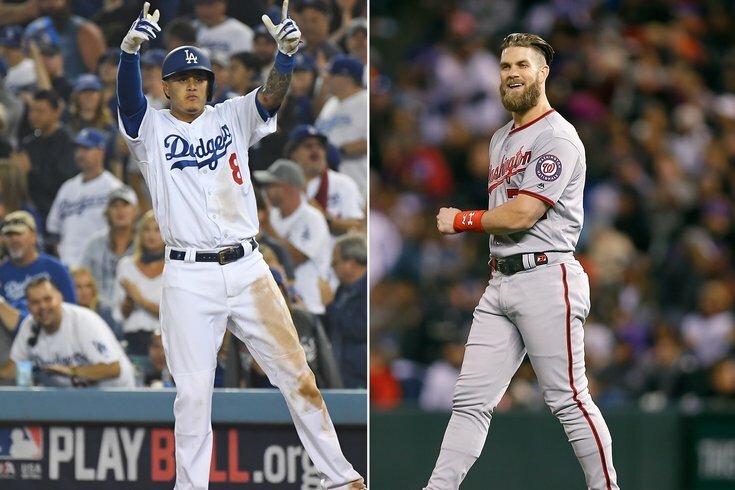 The Yankees, always Machado's top choice, have crept up as overwhelming favorites as the Phillies and other teams have shown they have a preference for Harper. Spring training starts in two days for many teams with pitchers and catchers reporting later this week. Games will begin a few weeks after that. Even though it seems as though this may never end, the calendar suggests it will eventually have to. Whether the latest odds hold up is anyone's guess. But, for what it's worth, the last time bookmakers appeared to have inside information on Harper's landing spot it turned out to be completely bogus.